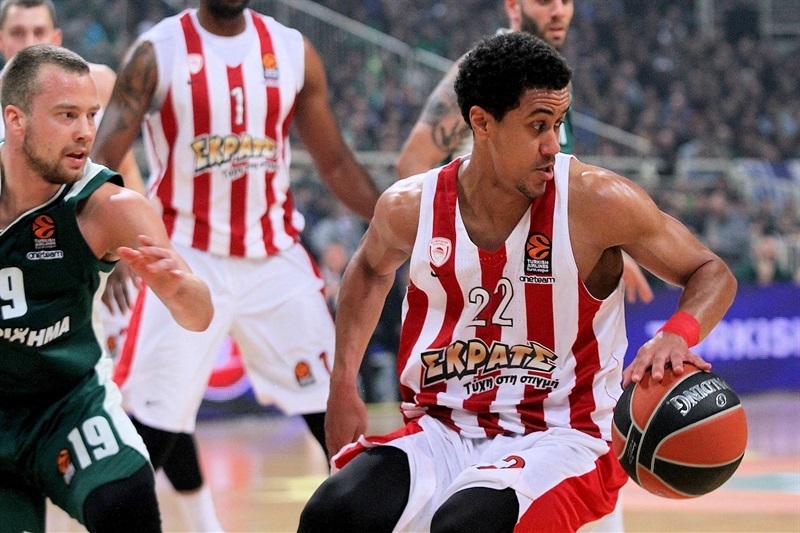 In a tense drama that only a derby between such great rivals can produce, Olympiacos Piraeus secured a place in the playoffs by edging Panathinaikos Superfoods Athens on the road after overtime 85-87 on Friday in the Greek capital. 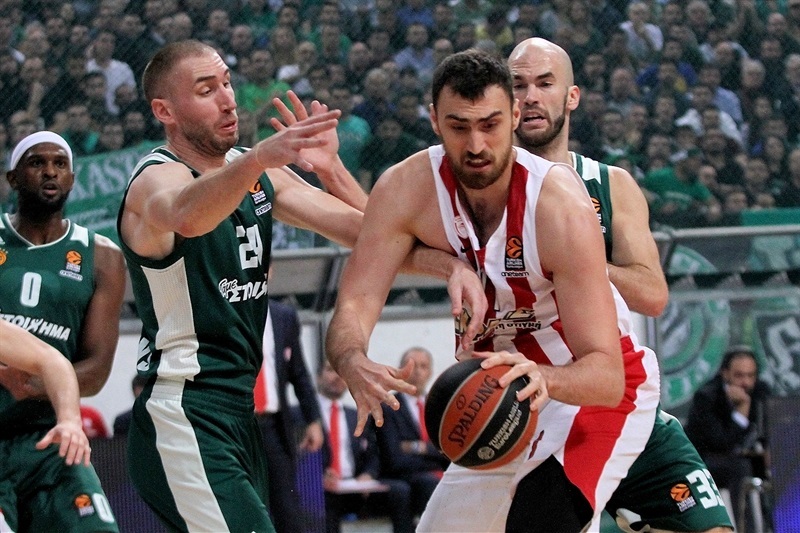 Olympiacos improved to a 17-7 record, the Turkish Airlines EuroLeague's second best, while Panathinaikos dropped to 14-10 in a share of fifth place. 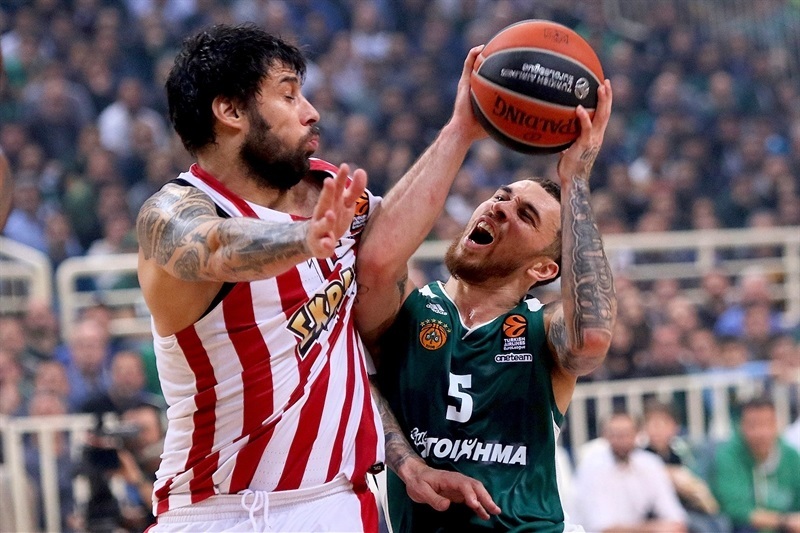 Olympiacos opened a double-digit lead in the second quarter and was still up by 10 midway through the fourth when Nick Calathes fueled a Panathinaikos rally that sent the game to overtime. In the extra session, the teams traded buckets before Brian Roberts nailed a triple with 64 seconds to go to give the visitors the lead for good. Roberts finished with 18 points, shooting 4-for-4 from three-point range. 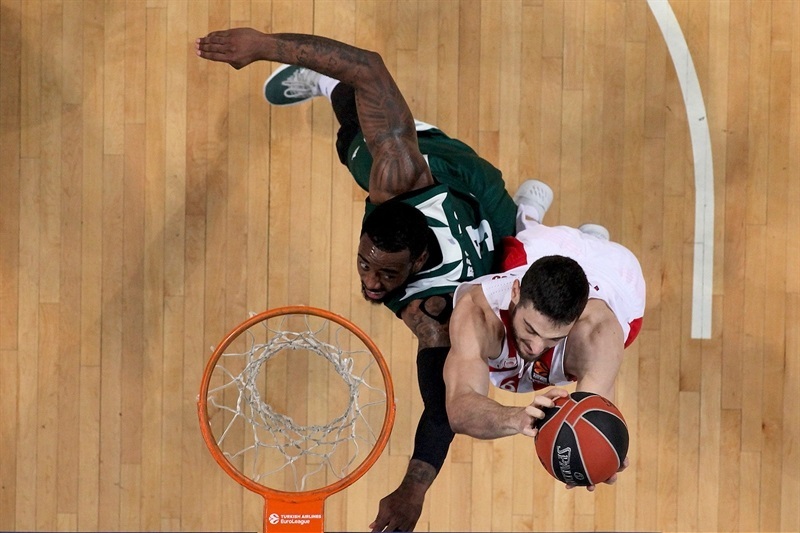 Vassilis Spanoulis scored 15 points for Olympiacos, as did Georgios Printezis, who moved into ninth place on the all-time scoring charts with 2,507 points. 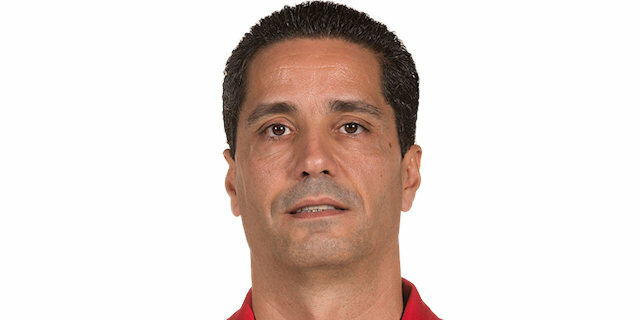 Ioannis Papapetrou scored 11 in victory. Nick Calathes had 23 points and 10 assists for the hosts while James Gist stood out with 21 points and 6 rebounds and Chris Singleton collected 13 points plus 8 rebounds in the losing effort. 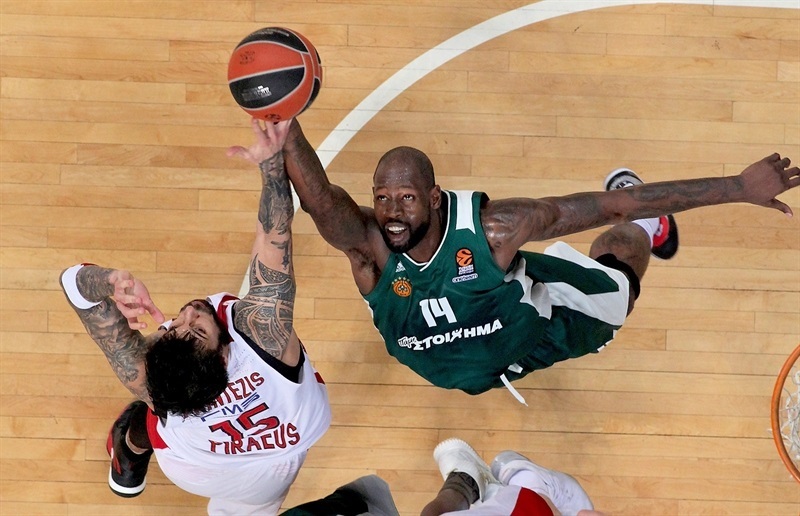 The teams struggled to get baskets in the opening minutes, before Gist hit a corner triple and Calathes drove for a layup and a 6-3 Panathinaikos lead midway through the first quarter. 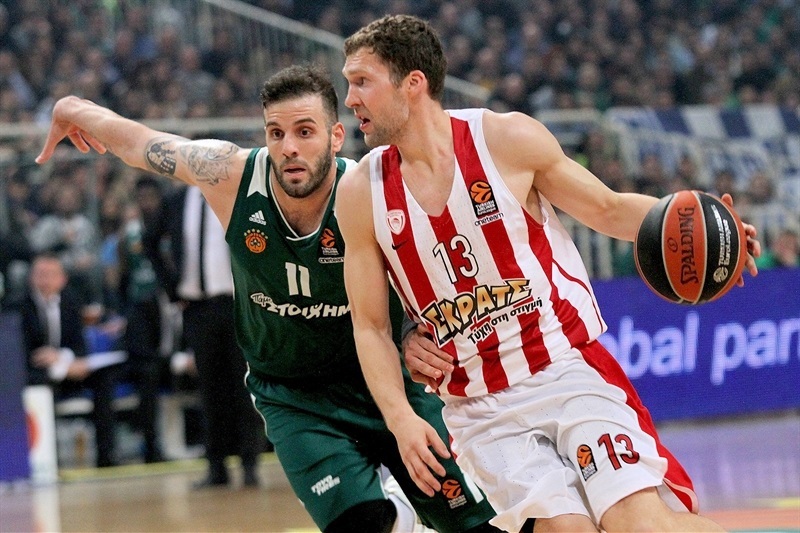 Nikola Milutinov had a dunk and Printezis nailed a three for the visitors before Spanoulis banked in a runner to give Olympiacos an 11-12 edge. But Gist fought his way inside and Kenny Gabriel hit a transition triple as the hosts held an 18-16 margin after 10 minutes. 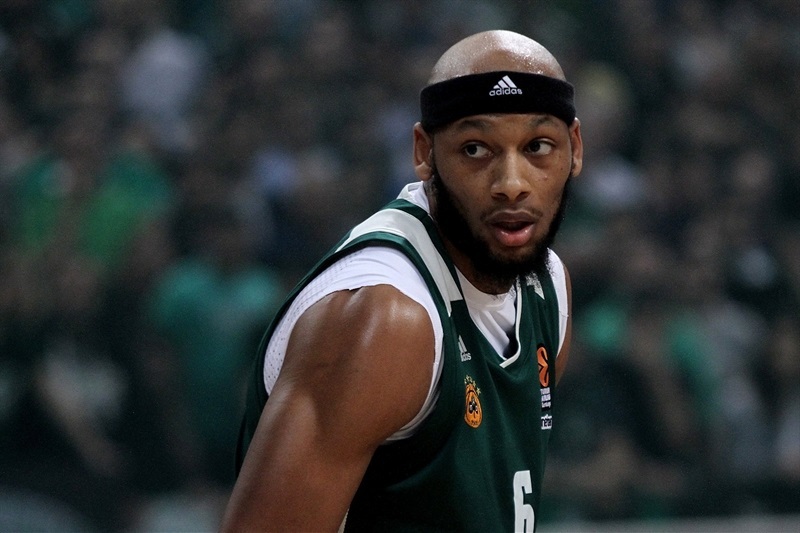 Adreian Payne had a pair of dunks early in the second, but Roberts knocked down 2 three-pointers for Olympiacos and Papapetrou hit a corner three in transition to make it 23-32. 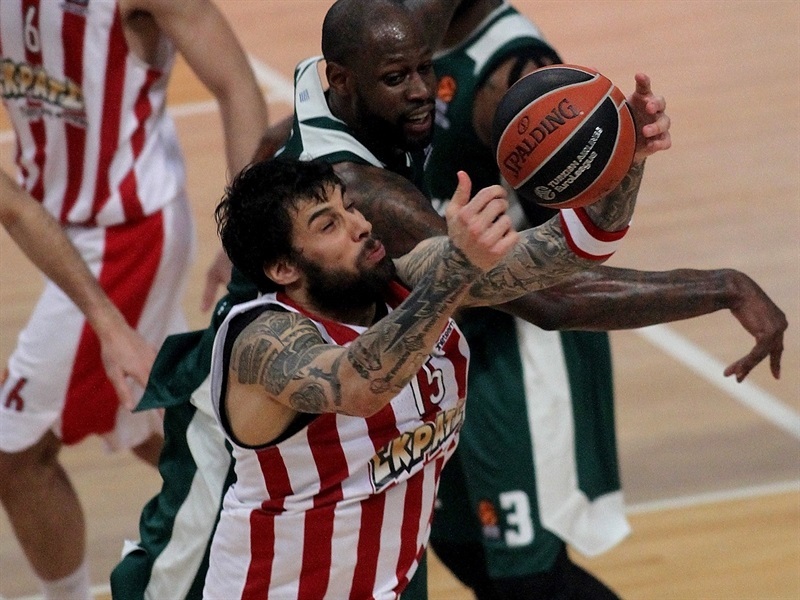 After a Panathinaikos timeout, Singleton's basket from downtown snapped a 0-12 Olympiacos run. Nonetheless, the visitors used buckets from Kim Tillie and Janis Strelnieks, plus a dunk from Milutinov and a floater from Printezis, to open a 13-point margin before another Singleton triple cut it to 34-43 at halftime. Spanoulis had a driving layup and a jumper after the break, while Gist scored inside then slammed an alley-oop dunk. After Printezis and Calathes traded triples, Calathes set up a Gist fastbreak dunk to get Panathinaikos within 45-52. After a timeout, Spanoulis nailed a long three and Jamel McLean drove for a layup as the visitors maintained a double-digit lead. Papapetrou then hit a last-second three-pointer to make it 50-62 after three quarters. Panathinaikos started the fourth with a triple from Matt Lojeski and a three-point play from Mike James. 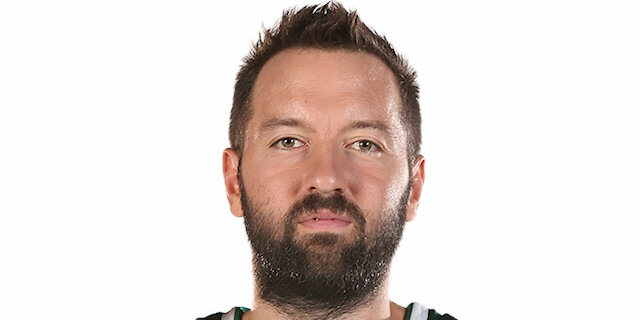 Bobby Brown answered with a basket-plus-free throw of his own, but another three-point play, this time from Calathes, and his runner off the glass helped the hosts get within 64-67 with little more than 4 minutes left. 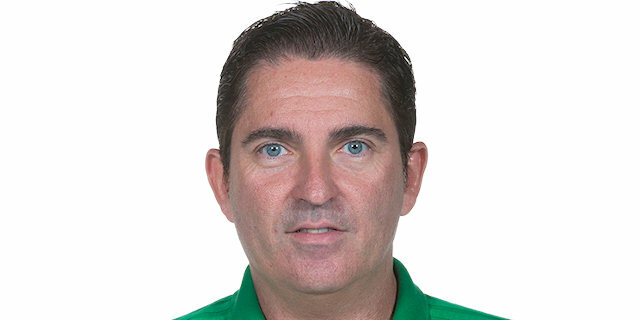 The Greens' charge continued when K.C. Rivers hit a triple, followed by James driving for a layup before Gist's dunk gave Panathinaikos its first lead since the second quarter, 71-70 with 1:21 remaining. 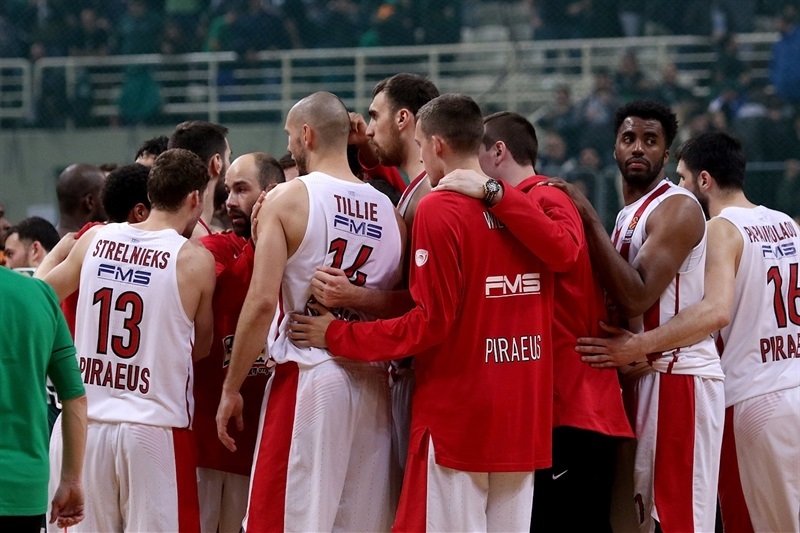 After Spanoulis split free throws, each team had its chance to win it, but the game went into overtime instead. In the extra session, Rivers hit a wide-open three to give the hosts a 78-75 edge, and after Olympiacos tied, step-back triple by Calathes made it 81-78. 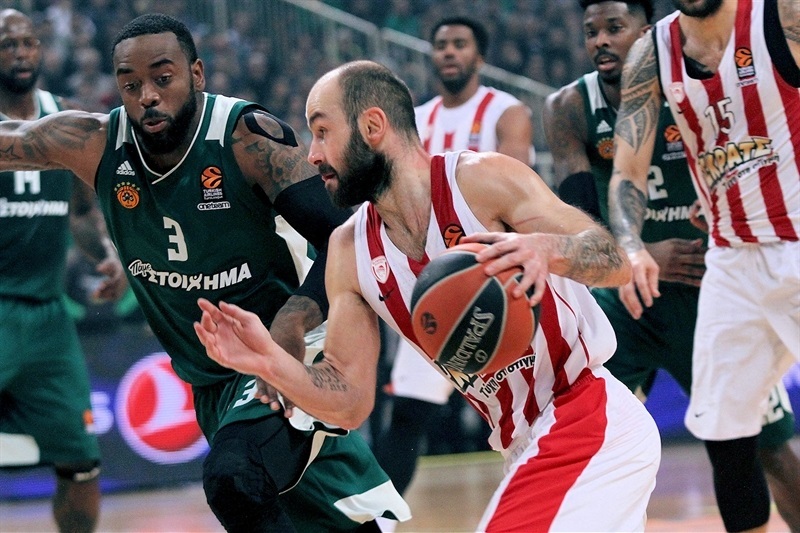 But Spanoulis answered with a three-point play and Roberts nailed a three-pointer followed by free throws with 36 seconds to go make it 82-86 and Olympiacos held on in the remaining time.